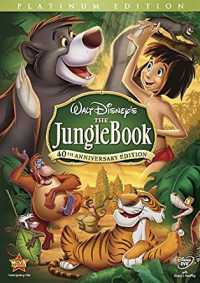 The Jungle Book is a 1967 American animated musical comedy adventure film produced by Walt Disney Productions. Based on Rudyard Kipling’s book of the same name, it is the 19th Disney animated feature film. Directed by Wolfgang Reitherman, it was the last film to be produced by Walt Disney, who died during its production. The plot follows Mowgli, a feral child raised in the Indian jungle by wolves, as his friends Bagheera the panther and Baloo the bear try to convince him to leave the jungle before the evil tiger Shere Khan arrives.